Having a border added to your print is recommended and provides some benefits that you may not have considered. 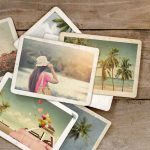 One of the advantages giclee printing has to offer over your standard photo print is the accessibility to inclusions of extra borders. Sometimes artists like to add their own margins within an image and wonder how it will affect the sizing of their print. Other times they choose a border from our order form and want to know if it will be printed on the inside or outside of the image. I go into detail to explain what happens when you embed a margin versus choosing a border from our order form. Giclee printing is all the rage today and likely will be for some time until some other sort of digital printing technology takes is place. One of the reasons for its popularity is the word itself “giclee” which gives the print a sort of exotic connotation. 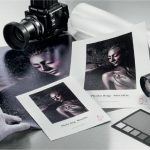 Even photographers are starting to move their fine art photography the giclee printing method. 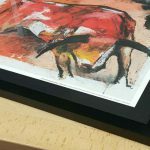 Below I list some of the things to expect with a giclee print if you are considering having them made for your art reproductions or photography. We have 4 papers that all appear very similar, some with very minor differences that are not visibly noticeable. In order of popularity these are Hahnemühle Photo Rag, Moab Entrada Rag, Sunset Cotton Etching, and the Strathmore Hot Press Smooth. Unless the papers are clearly labeled you may not be able to tell the difference. 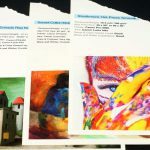 For finer art and photography printing these papers all produce stunning detailed imagery which truly show off what giclee printing has evolved into. But while all these papers produce fantastic looking prints, they are different. When I meet photographers and they find out that FinerWorks has its own full-service framing center I frequently hear them say how they have photos they want to put into a frame, but they really don’t know how or where to start. 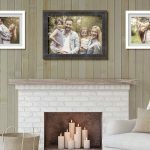 The first thing I tell them is some photographers will opt for the frames they can get at the local art supply store, but if it is something special, they want to give to someone, or even to a high-end client, they should be careful of corner cutting. Some people are after a shimmering metallic look with their printed images. Prints with a metallic look are characterized by having almost a 3D quality to them. When the right looking image is used, a metallic print will accentuate every detail, color and tone. Printing is generally the same thing in the age of digital prints no matter if it is artwork or photographs. It all comes down to image pixels being turned into an image which is printed on a surface, usually paper. 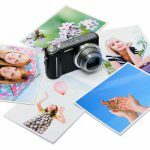 The properties of the paper are where many photographers, especially newer ones, have questions if they want something that best shows their work. To help them choose I ask photographers to look at three main characteristics of a paper which have an effect on how their image is printed. Are You Using the Virtual Inventory? Under used and overlooked is the virtual inventory system that we have at FinerWorks. 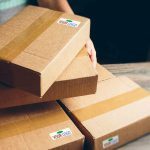 When you sign up for an account you have access to a valuable time saving tool which allows you to store frequently ordered prints and products so that you don’t have to upload your files and setup your prints each time you want to order them. Is Color Correction Right for You? Is color correction right for your image files? Within our print ordering app, you have the option to select this service to improve the output of the colors in a print from an image file. It is a two-tiered process in which a printer technician applies a color corrective algorithm and then makes additional manual adjustments. The first part is done with what you might come across with some of the robust tools that Adobe Photoshop offers. If the first level appears to harm the output then this may be undone and the image goes straight to the second tier for manual adjustments. There further manual adjustments are made to the image by the technician to adjust tones and contrast levels as needed. Don’t let your prints fade away. Fading, discoloration and even damage of any colored surface can be a problem if proper care and precautions are not taken. This is not just true with prints but any surface with an image even if it is archival. The rate of fading and discoloration depends on the media the image is on and the pigments or properties that make of the colors. 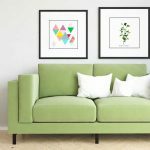 Since we are more concerned here with prints, whether it be a photo or art reproduction, there are two main influences we should look at: external and internal.